We’re almost at the end of January – how are your New Year’s resolutions holding up? 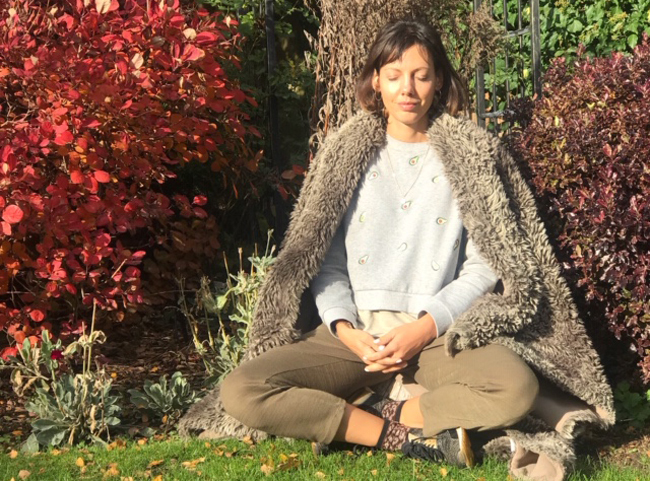 There is so much pressure on us to work on our physical and mental wellbeing at the beginning of the New Year; a time when we’re totally spent from all the festivities and our batteries are at an all-time low! Add to that the dark hours and the cold and it becomes even more daunting. Changing old habits at this time of the year can be a real battle. Like that new gym membership, the new diet, dry-January, maybe you’ve invested in a new meditation or fitness app – we almost sign up to all of these things out of obligation. Surely most of this makes January even more depressing. Years of research have shown that most people’s New Year’s resolutions don’t make it past February. So what can we do? If you know me, you know by now that I strongly believe that looking after our wellbeing is one of the most important things we can do – not just for January but for every month of the year. It’s not an ‘if I can fit it in’ sort of thing. Running on auto-pilot works for a while but in the long run, it will catch up with you so we need to be slightly more proactive to be healthy and happy throughout the whole year … both physically and mentally. It doesn’t have to be a crash diet or 100% denial of all the things you love. By changing your mindset towards wellbeing and taking on simple exercises, practised on-the-go or at home for example, it only requires a few small changes to reap huge benefits. On the way, give yourself credit for the progress you make, even if slow and steady! Think of it as a long-term investment, like compound interest, every little bit you do will make a difference! Here are some simple steps to help. Whether you are sat on the train, at work or at home, you can breathe yourself into a state of zen. A park bench or loo seat will also do, as long as you find somewhere to sit comfortably. Close your eyes and inhale deeply counting to 6, upon your exhale count to 8. Feel your spine lengthening as you inhale and try to let go of any negative thoughts upon your exhales. Try this for a few rounds. Being aware of our breath and muting the ceaseless noise from both your external surroundings and your internal voice even for a few minutes can give your mind a rest and help us better manage stress and reduce feelings of anxiety or panic. 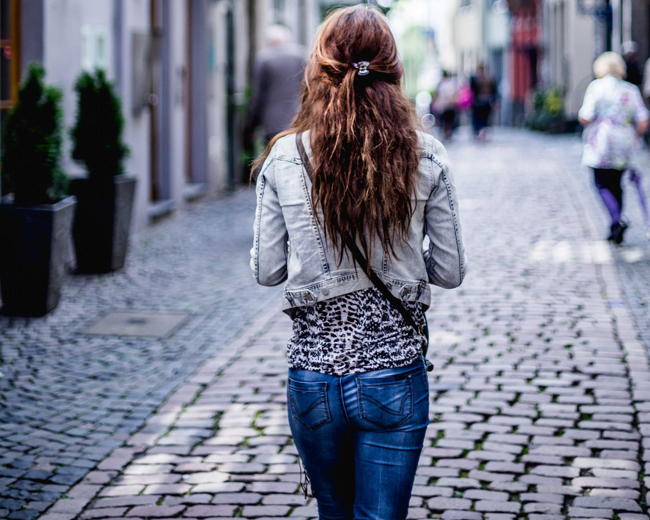 With your phone on silent, set off on a walk and focus on becoming fully aware of your surroundings. Don’t take the car, make it a walk to the shops or better still leave earlier and walk to work or school or the station or leave the tube early to walk home. Notice that when you’re not looking at your phone, there are so many other things to see; other people, people walking dogs, pushing buggies, working, chatting. What can you smell? What can you hear? Draw your attention to the present moment – it may seem like mumbo-jumbo but just try it. It’s been proven to be such a powerful exercise and practical tool for lowering stress, which, as we know, in turn, helps increase productivity. After one short walk, you’ll feel more awake and alert. Wherever you are, try to fit in a ten to fifteen-minute walk a day and start to feel the benefits. Each week make it a little longer and before you know it walking will be your ‘thing’. If you’ve been to a yoga class before, you’ll know how amazing it feels to step into a downward dog. For some people, it can become an addictive pose to be in. It’s one of the easiest poses because you can do it anywhere, anytime. Stand tall and bend yourself forward and walk your hands forward until you make a V shape. Push your head down, straighten your spine, lengthen your legs, and push your hips up, stay like this for as long as you can. It’s a fabulous way to realign not only your spine but your energy flow as well. If you’re stuck at work all day and perhaps sat behind a desk, you can re-create a similar energy-booster and throw yourself into the 90-degree desk stretch (or 90-degree wash basin stretch if you don’t want to stick your glorious backside into your co-workers’ faces). It works wonders! Step about 4 feet away from your desk. Hinge at the hips and reach your hands forward towards the edge of your desk. And breathe. Did you know that seafood, eggs, nuts and leafy greens all contain happiness-boosting nutrients? In general, by eating a balanced diet we’ll feel much better both physically and mentally but there are also certain foods that have more of an impact on how we feel. 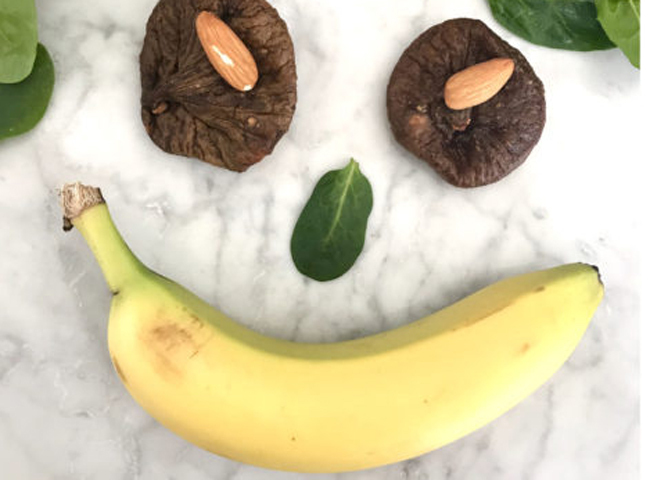 You only need to add a colourful carrot or why not grab an apple with a bit of cheese – just one of these happy-making foods a day can boost your energy levels! Research shows that if we focus on what we don’t want to be eating it can be harder to make the changes but if we focus on 1 or 2 healthy foods that you like and add them into your diet, it’s much easier to change habits. 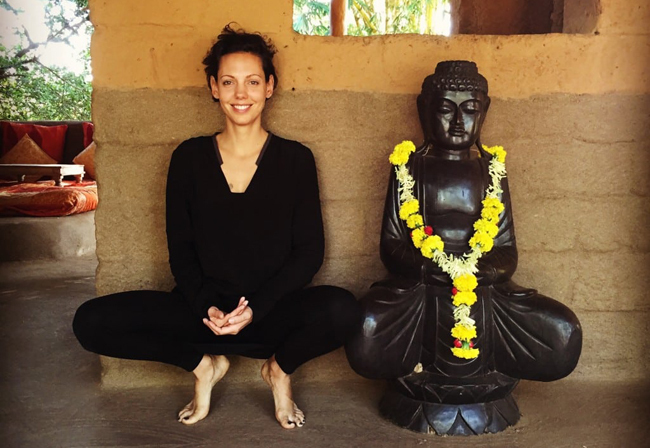 Dive into a bit of karma yoga and go beyond your own desires and self-interest to enhance your feelings of wellbeing. Evidence shows that committing to random acts of kindness, even if only once a week, can help improve your mental wellbeing and sense of joy. Without making a huge sacrifice to yourself it’s pretty easy, for example, give a genuine compliment to someone about anything at all, tell a joke to someone to make them laugh, break into a smile for no reason, or maybe even stop and strike up a conversation with an elderly person who might just need someone to talk to. Look around for things you can do to help others no matter what they are. And if you’re feeling up to it, give a few hours and become a volunteer. Volunteering is said to be one of the greatest sources of joy. 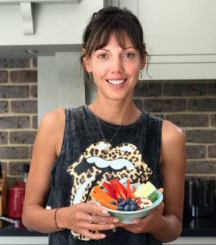 Dani Binnington is a cook, yoga teacher and wellness warrior dedicated to providing practical steps for physical and mental wellbeing for the whole family.